Thank you for visiting our website www.asiadolly.com("the website") of Asiadolly, a product from mm3288.com. By visiting, using and/ or purchasing any products from the website, you agree to be bound by the terms and conditions set forth herein. AsiaDolly reserves the right to modify these terms and conditions at any time without prior notice. Please visit this page periodically for the latest updates. Orders are processed within 3 business day and shipped via SingPost Non-Registered mail (Free Shipping) or Singpost Registered Mail. We only accept orders within Singapore. We only allowed defective products to be returned or exchange within 14 days from shipping date. All purchases submitted are not binding on AsiaDolly till you receive a confirmation email from us. The confirmation email will be sent to you within 3 business day upon receipt of your order. AsiaDolly reserves the right to accept or reject any order. 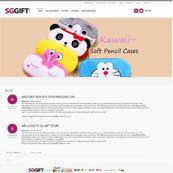 The prices stated in the website are quoted in Singapore currency (SGD). AsiaDolly reserves the right to change the prices at any time without prior notice. We welcome your feedback on how we can improve our service and product quality. . Please email your feedback to [email protected] We will reply within 3 business days. We offers credit card payment (via PayPal) and local bank transfer. Customer choosing bank transfer option would need to transfer the amount to a DBS saving bank.